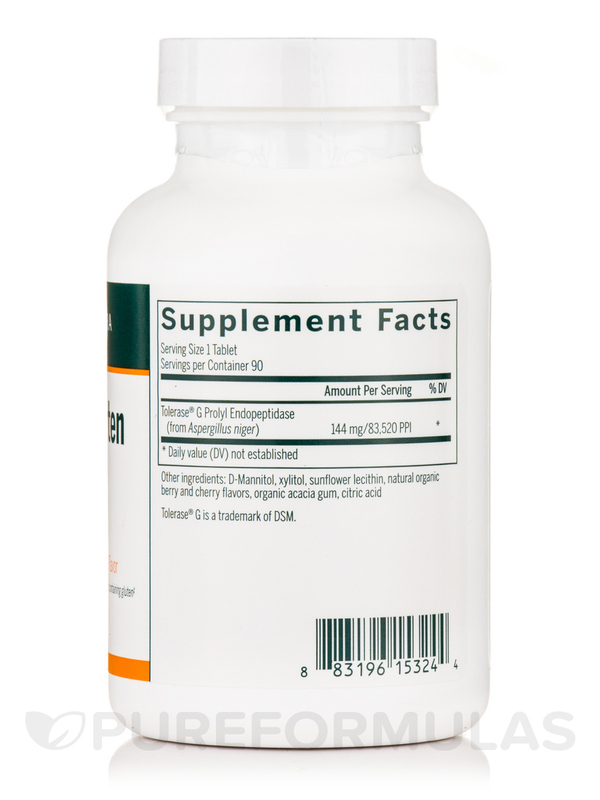 Digest Gluten Chewable was specifically formulated for gluten-sensitive individuals who are trying to follow a gluten-free or gluten-reduced diet. Gluten is abundant in the Western diet in grains and processed foods‚ and can be present in non-food items such as medication‚ toothpaste‚ mouthwash and lipstick. As people have less control over their food when travelling‚ during social visits or at restaurants‚ it may be difficult to intentionally limit gluten intake. Furthermore‚ contamination of gluten-free foods may occur during processing‚ packaging or storage‚ and through sharing utensils or appliances. 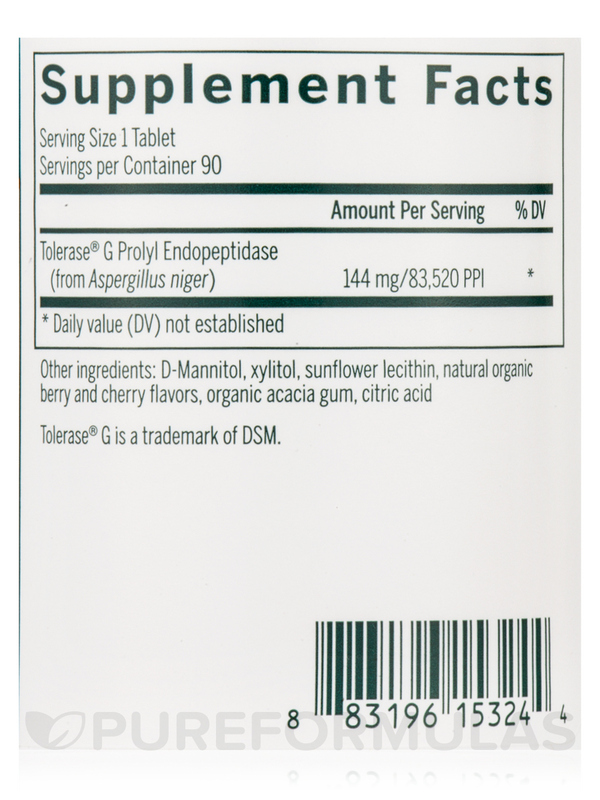 Digest Gluten Chewable features Tolerase® G‚ a prolyl endopeptidase that has been clinically shown to help break down gluten peptides in the stomach. In one study‚ Tolerase® G degraded nearly all of the gluten present in the stomach of participants within one hour of administering a liquid low- or high-calorie‚ gluten-containing meal. Additionally‚ this enzyme significantly degraded gluten in the stomach and duodenum of participants after consumption of gluten-containing porridge. Preclinical research has found that Tolerase® G is active at the low-pH range of the stomach‚ resistant to pepsin degradation‚ and able to degrade the immunogenic peptides of gluten‚ further supporting its use as an effective enzyme. 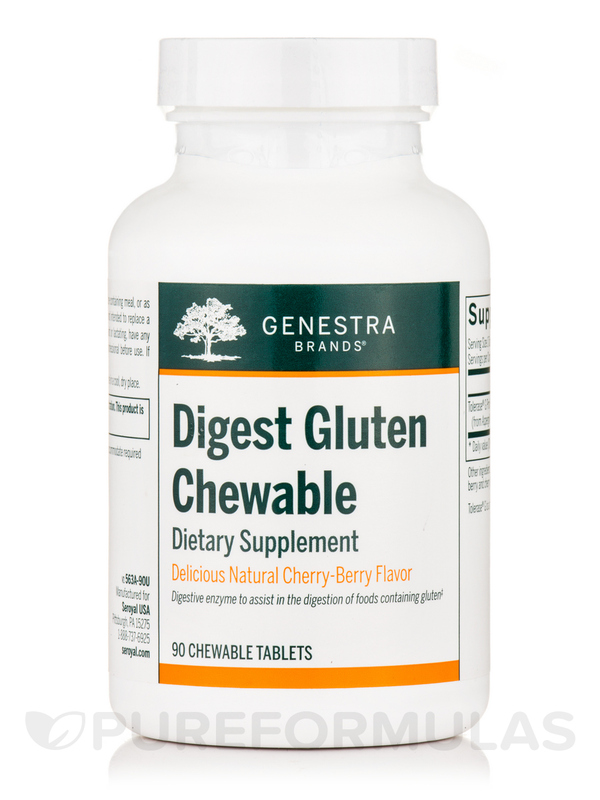 Each delicious chewable tablet can be easily incorporated into the diet to help in the digestion of gluten-containing foods. Other Ingredients: D-Mannitol‚ xylitol‚ sunflower lecithin‚ natural organic berry and cherry flavors‚ organic acacia gum‚ citric acid. 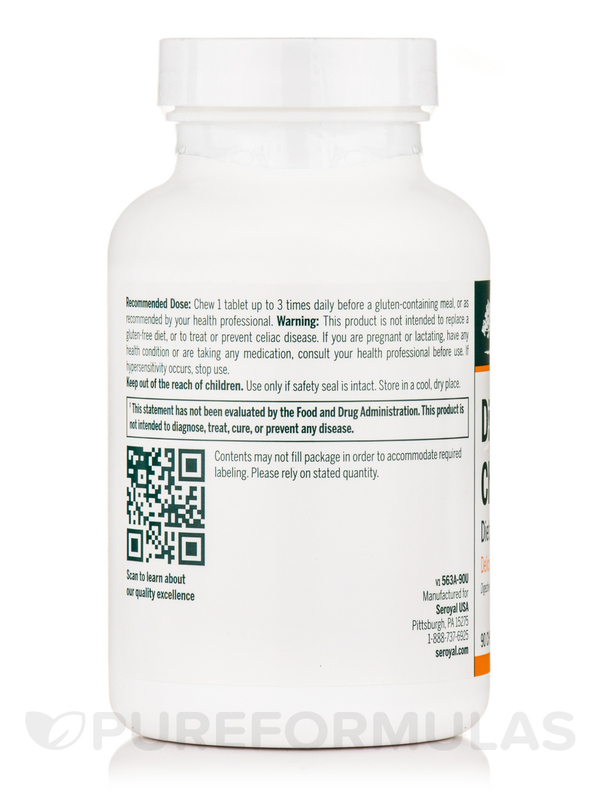 Chew 1 tablet up to 3 times daily before a gluten-containing meal‚ or as recommended by your health professional. 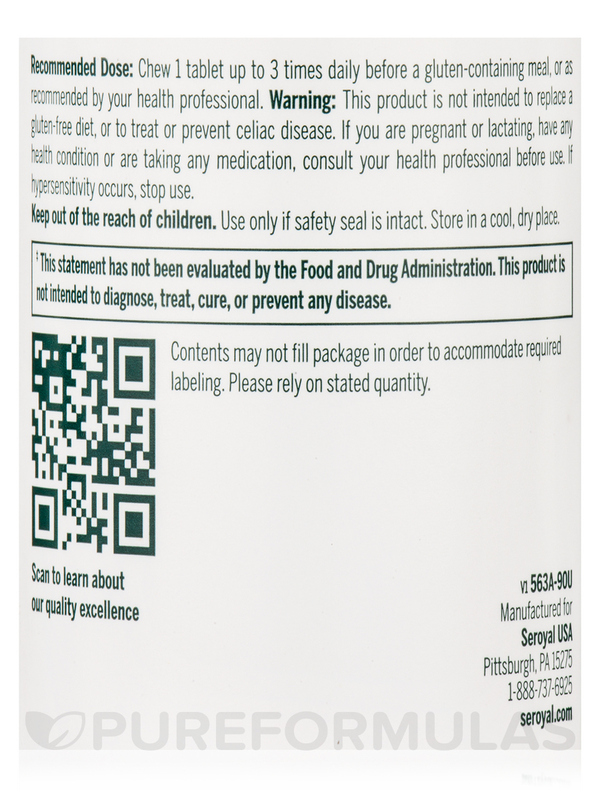 This product is not intended to replace a gluten-free diet‚ or to treat or prevent celiac disease. If hypersensitivity occurs‚ stop use.